Sedi-Rate™ offers a simple, safe, economical and highly accurate method for performing Westergren determinations. The polystyrene (PS) Sedi-Rate­™ pipette is graduated from 0 to 180mm and features a unique fibrous plug located at the zero mark. The plug is specifically designed to be a self-sealing aerosol barrier that stops hazardous substances from escaping through the top of the pipette. 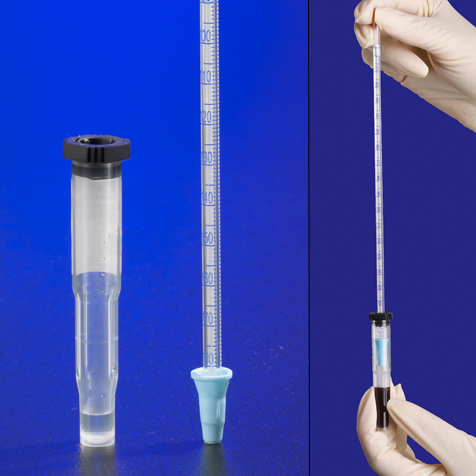 The polypropylene (PP) Sedi-Rate™ vial features a patented self-sealing stopper that is easily pierced with a transfer pipette or piercing funnel. The vial is supplied pre-filled with 0.25mL of 3.8% trisodium citrate diluent. Simply add 1mL of EDTA-treated blood to complete the 1 to 4 ratio as required by the Westergren method. 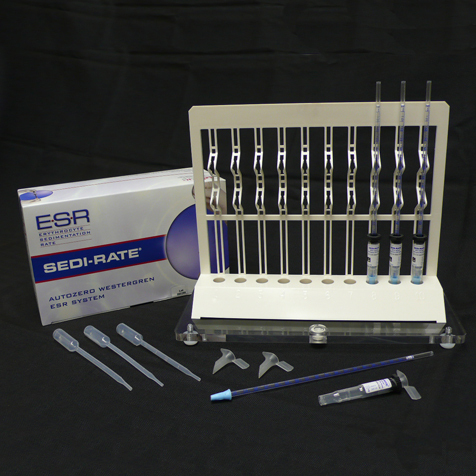 Sedi-Rate™ and other Globe Scientific E.S.R. products are the only systems that are completely closed, thereby offering the highest degree of safety. The use of Sedi-Rate™ eliminates splashing, spraying and aerosol hazards, making it an optimum choice for ESR testing in the laboratory.